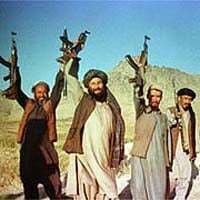 The Taliban were quick to release their own statement today after Barack Obama announced a goal of transitioning security in Afghanistan by 2014. The Taliban on Saturday said that Nato was heading for defeat in Afghanistan after the alliance announced plans to begin withdrawing troops from the country from next year. “It has become clear that after nine years of occupation, the invaders are doomed towards the same fate as those that tread this path before them,” the hardline group said in an emailed statement. “Their troop surges, their new strategies, their new generals, their new negotiations, and their new propagandas have been of no avail,” it added.